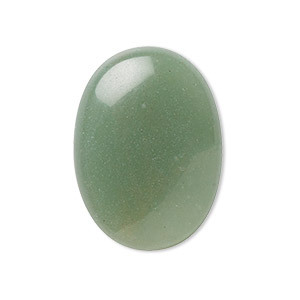 Cabochon, green aventurine (natural), light to medium, 30x22mm calibrated oval, B grade, Mohs hardness 7. Sold per pkg of 2. Item Number: H20-1198CB Have a question about this item? Green aventurine has a shimmering iridescence and a semitranslucent appearance. Aventurine is a metamorphic rock, meaning it is made up of more than one mineral. Green aventurine is mostly quartz with the glistening effect coming from tiny inclusions of shiny mica minerals. Colors may vary. 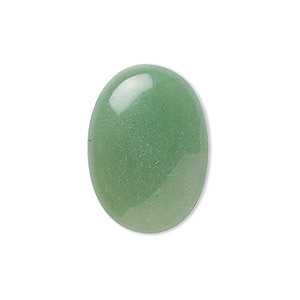 Cabochon, green aventurine (natural), light to medium, 25x18mm calibrated oval, B grade, Mohs hardness 7. Sold per pkg of 2. 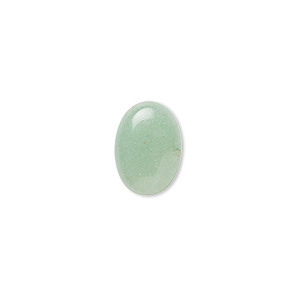 Cabochon, green aventurine (natural), light to medium, 18x13mm calibrated oval, B grade, Mohs hardness 7. Sold per pkg of 4. 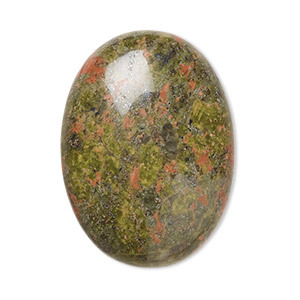 Cabochon, green aventurine (natural), light to medium, 14x10mm calibrated oval, B grade, Mohs hardness 7. Sold per pkg of 6. 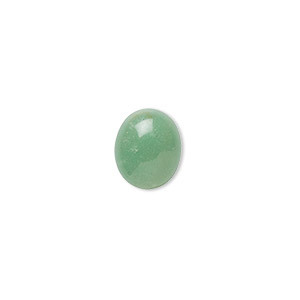 Cabochon, green aventurine (natural), light to medium, 10x8mm calibrated oval, B grade, Mohs hardness 7. Sold per pkg of 10. 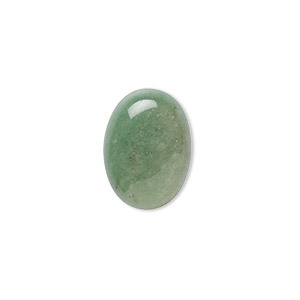 Cabochon, green aventurine (natural), light to medium, 16x12mm calibrated oval, B grade, Mohs hardness 7. Sold per pkg of 6. 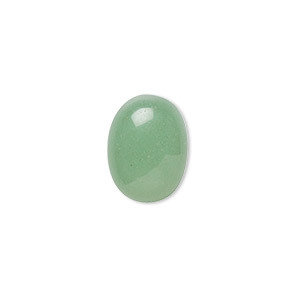 Cabochon, green aventurine (natural), light to medium, 12x10mm calibrated oval, B grade, Mohs hardness 7. Sold per pkg of 10. 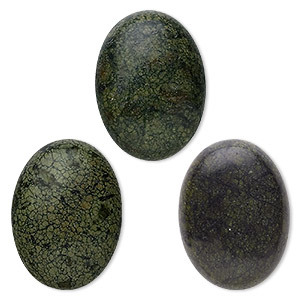 Cabochon, green aventurine (natural), light to medium, 6x4mm calibrated oval, B grade, Mohs hardness 7. Sold per pkg of 16.